As the nation continues to work its way out of recession and investors begin to take stock of what looks like a lost decade in their portfolios, it might make sense to execute some simple ideas now that will give better preparation for possible tough times in the future. After all, disaster can’t be predicted, but it can be blunted by preparation. Here are a few ideas to implement as the economy recovers. Start with expert advice: A fresh financial start should begin with some solid, up-to-the-minute advice. Consider making a trip to talk over your current finances and retirement picture – no matter what state they’re in – with your tax advisor and a financial advisor such as a Certified Financial Planner™ professional. Many people feel they’ve made mistakes that they’ll never be able to repair with their money, and the only way that might be certain is if they don’t properly assess what they’ve done and should do in the future. Getting trained, experienced advice is one way to change that. Pay down your debt: There was once a time when mortgage debt was referred to as “good debt,” but even that perception has changed for many families in recent years. While mortgage debt has tax advantages, the relatively recent tendency for homeowners to look at their property as a piggy bank looks headed for permanent change. And with new credit card lending rules on the horizon, Americans’ relationship with plastic is bound for big changes as well. Resolve to get a better handle on existing debt and above all things, resolve to pay it off in sensible fashion, attacking the highest-rate and less tax-advantaged balances first. Reevaluate your career plan: It’s true that many Americans will have to work longer than they planned to assure a healthy retirement given the events of the last decade. But you shouldn’t stop there in making that assessment. As the country comes out of this economic slump, you should also be considering whether your current career meets your personal as well as your financial needs. A chance to earn extra money would certainly be great, but if you’re unhappy doing what you’re doing or you see your industry going nowhere, then it might be time to retrain or research a change. Emergency home or car repairs in excess of insurance that are required to make the home livable or the car drivable. Liability insurance related to a particular business or work activity. If there was hereditary evidence cancer or heart disease among your closest relatives, how would you pay for treatment if your insurance didn’t fully cover the costs? If you live in a flood plain, do you have adequate federal flood insurance? If your company has been losing money for the last year, how likely is it you might be laid off? Will you need additional training or education to stay in your job going forward? If you were disabled, how would you make up your lost salary? 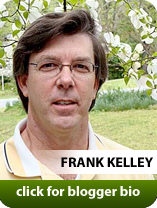 This column is produced by the Financial Planning Association, the membership organization for the financial planning community, and is provided by Frank Kelly, CFP® , a local member of FPA.